Dr Yadava completed his MBBS and Masters of surgery (MS) from from Maulana Azad Medical College between the years 1977 and 1981 respectively. He cleared his DNB Examination in General Surgery in the year 1983. His basic training in cardiothoracic surgery started when he was at the Cardio thoracic Centre, Armed Forces Medical College, Pune in 1985. 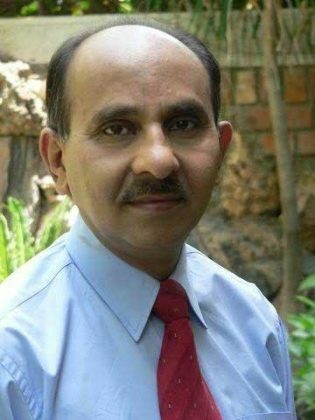 Dr Yadava, with an experience of nearly 15,000 surgeries, established the Beating Heart Bypass programmes, which is not only within the country at National Heart Institute and Sir Ganga Ram Hospitals, but also in the neighbouring countries. As a social activist, Dr Yadava established a Cardiac Centre at Almora in Uttarakhand, and was one of the first to perform open heart surgeries in the Himalayan region, thereby taking specialised services to the doorstep of the underserved. In 2006, he launched the Rotary’s ‘Gift of Life’ Programme in India for the underprivileged children from India and abroad. He founded an NGO, Uttarayana Foundation, and established a charitable hospital in village Maat, Almora. Earlier, Dr Yadava has received Rajiv Gandhi Excellence Award in 1992; MAMCOS Award in 2005 as well as the Life Time Achievement Award bestowed by President A P J Abdul Kalam. Dr Yadava has been endowed with gifts from God. People say he has long fingers. He operated on me twelve years ago and I am still hail and hearty , climbing mountains. Congratulations Dr. Yadav for your achievement n for ur work in Almira. How and why Cardiac Surgeons are awarded frequently, while it is fully understood that nothing is possible without the active participation of the Anaesthetist . Never ever any anaesthetist has been honoured . This speaks of volumes of rackets and connections which exist in deciding for awards and title distributions . They promote themselves and highlight self services . These awards need to be scraped as no honest approach is applied to decide the fate of these awards . There are many cardiac surgeons who are seen frequently on page three of news papers but they are proposed for awards as if they are Hollywood or Bollywood stars for awards .